The toys are finally here!! 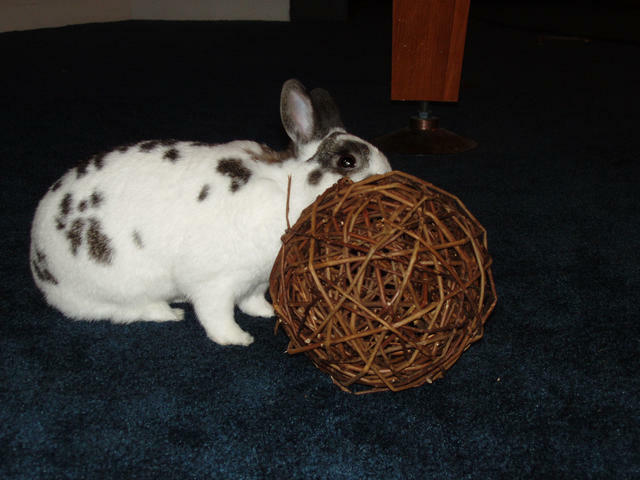 I ordered 4 willow balls almost two months ago for the bunnies and they just arrived. I have the hardest time getting these things because they are always on back order. 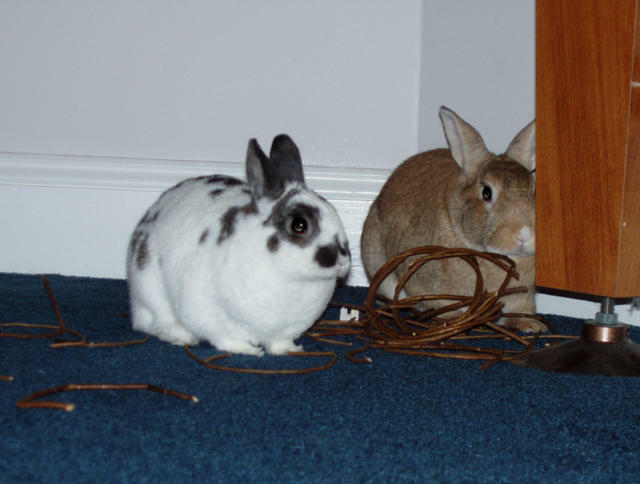 Apparently they are a favorite of all bunnies. They cost 7 bucks each plus shipping and are destroyed in a day, but they love them so much! 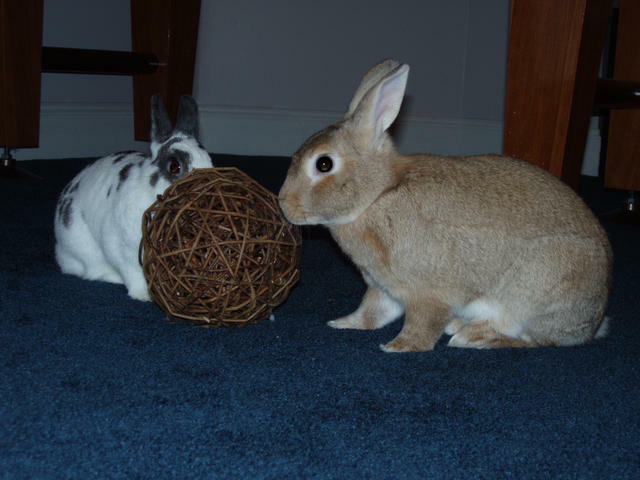 I haven’t found anything they like to chew on as much as these things (except all the things they aren’t allowed to chew on – woodwork, cords, clothes, shoes, carpet). 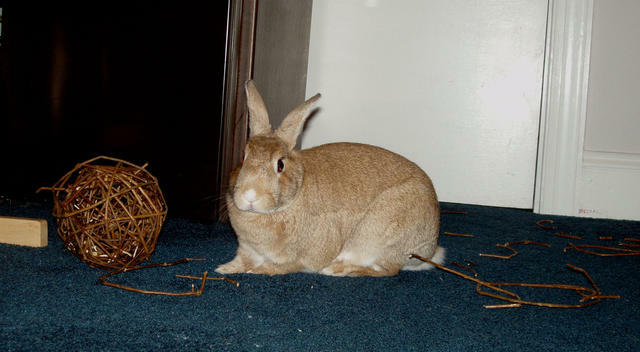 I put one in SweetPea and RoseMarie’s room last night and there isn’t much left tonight. They love pulling it apart and will eventally eat most of the pieces. I put one in the bonus room for Tuscan and Moose to have while they are out playing. Here are a few pictures.